There are a lot of steps involved in making sure your travelers are ready for a trip abroad. No one can predict when or where an emergency will take place; however, knowing how to react to these types of situations is half the battle. But how can you proactively prepare yourself and your crisis team members to respond to a traveler’s medical emergency abroad—especially if you aren’t familiar with the behind-the-scenes logistics? Don’t worry, we’re here to help! 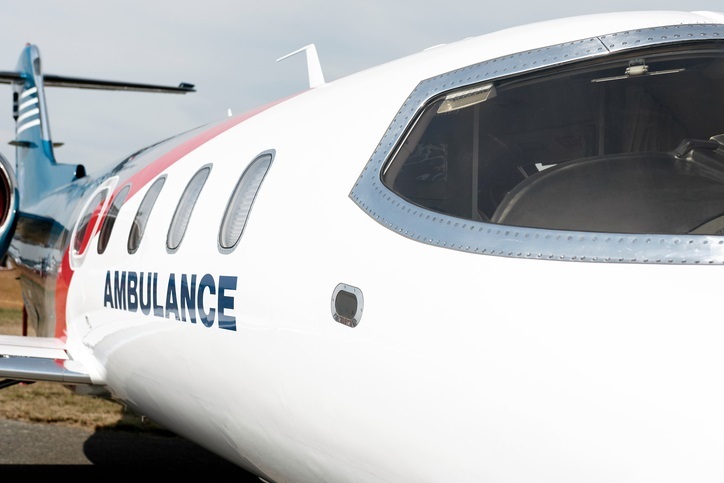 With a clear understanding of how an air ambulance evacuation works, you can help ensure your travelers receive the care they need and ensure your organization is responding to the situation effectively. This is not only critical in helping to protect travelers’ health and wellbeing, but also in fulfilling your organization’s duty of care. It’s 11:00pm on the East Coast, and you have a group of travelers in India who are just starting their day. Your phone rings – it’s one of On Call’s Assistance Coordinators, who notifies you that one of your travelers has been hospitalized with a serious illness and needs to be evacuated to a facility that is better equipped to treat their condition. What now? When medical recommendations require your traveler to be evacuated to a different facility, On Call’s medical and transportation teams determine which facilities in the surrounding areas are best equipped to treat the traveler’s condition. We consider numerous factors when making this important decision, including the urgency of the illness or injury, whether the traveler is stable enough for transport, length of the transport, and which hospitals have the best resources, capabilities and bandwidth to treat the traveler’s diagnosis. In some cases, it may even be safer to transport the traveler to their home hospital for further treatment and continuing care. While our medical team locates the right facility, our transportation team coordinates the evacuation. On Call utilizes a network of preferred air ambulance providers that we trust to ensure travelers receive the care they need as quickly and safely as possible. Using our providers also allows us to pass in-network cost savings on to travelers and their organizations. Once the plan of action has been finalized, a transportation coordinator will reach out to you or the designated representatives at your organization to discuss the next steps. Remember: medical emergencies don’t always happen during normal business hours and if a traveler is in critical condition, there may not have time to wait for these details to be sorted out. Establishing customized protocols in advance of a crisis is one of the best ways to help alleviate this challenge while ensuring a traveler’s access to quality medical care is not unnecessarily delayed. Once all of the necessary documentation is in place and an admitting facility is secured, On Call’s transportation team works closely with the air ambulance provider to secure an itinerary. Sometimes there are obstacles which may affect the timeline of an evacuation. In some locations, the airport may only operate during daylight hours for safety reasons, or an airport may have to delay flights due to weather conditions. These obstacles can cause last minute changes to the itinerary. Our transportation team will keep everyone apprised if there are any issues, and the finalized itinerary will be sent to the traveler’s designated contacts and the receiving hospital. The designated contacts are also updated after each critical step of the evacuation. This end-to-end communication process cuts out the middleman, keeps you in the loop and, above of all, ensures you’re not missing any vital opportunities to advocate on behalf of your travelers. Want to learn more about how On Call’s medical evacuation process works and holistic travel risk management? Contact us today.